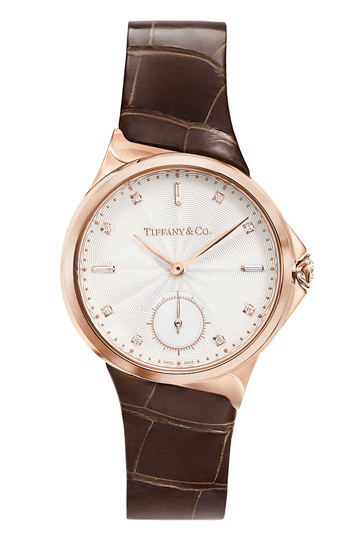 Tiffany & Co watch boss Nicola Andreatta introduces us to the new Metro collection of innovative timepieces for women, with traceable diamonds in place of a crown. 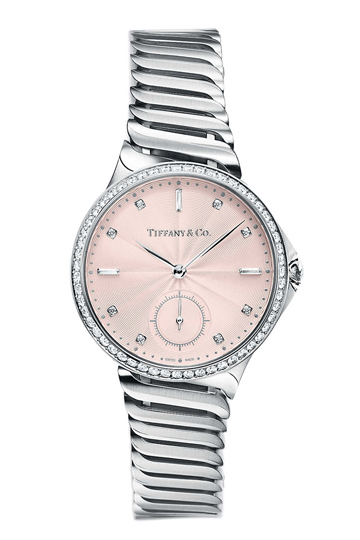 The sensuous curves of the Tiffany & Co Metro watch collection don’t scream assured femininity, but neither do they whisper it. More like a bold affirmation delivered with just the right decibel tone, befitting of one of the world’s most prestigious luxury brands. 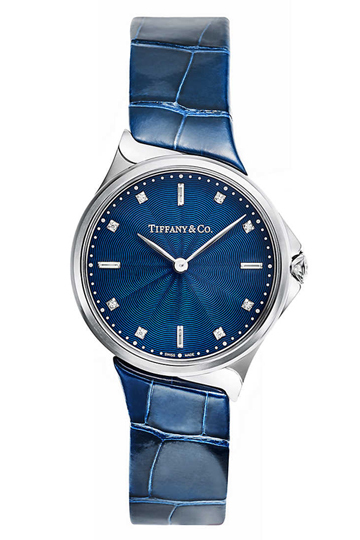 “This collection is for a sophisticated woman who knows what she wants,” says Nicola Andreatta, the charismatic Italian who has been in charge of revamping Tiffany & Co’s watch offer. While the reboot, which started about five years ago, started with a solid focus on men’s watches, now Andreatta and his team are giving all their attention to the ladies. Their opening gambit is the Metro, a good-looking watch with twisted lugs that blend just as easily into a metal bracelet as a shiny alligator strap. But what is really exciting about this collection is the crown, which Tiffany & Co has replaced with a diamond as a nod to its history as America’s most famous jeweller. Rather than simply set a diamond in the crown, the diamond itself, set in a twisted three-prong setting, is functional and can be used to adjust the time on the dial. Each of the diamonds moonlighting as crowns have been laser engraved with a unique serial number to guarantee authenticity, but also to give peace of mind that the diamond has been responsibly sourced. Andreatta claims that all these sparkling crowns can be traced back to the mines they originated from. Rather than one long number, the serial number has been spaced out over 70 points on the diamond, a quirk that can be viewed using a microscope – the naked eye cannot detect the numerals. “We thought it was a beautiful thing because that makes every watch unique, makes every watch different,” says Andreatta, who oversees the manufacture of all Tiffany & Co watches at a dedicated factory in Switzerland. 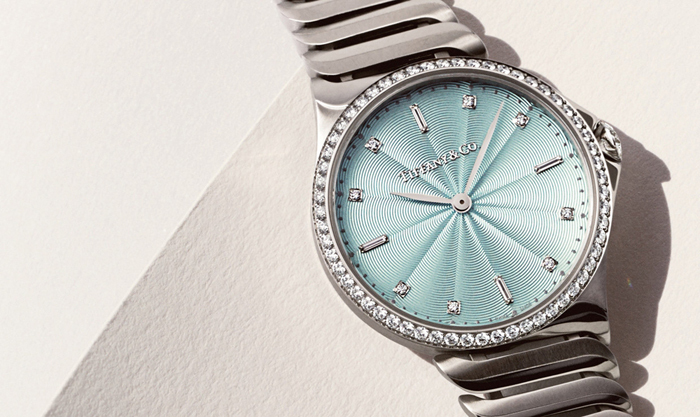 The Tiffany & Co Metro watch collection starts at £3,700, which Andreatta points out is excellent value considering the diamond content. For that price you can buy a 29mm stainless steel Metro watch fitted with a quartz movement, with blush-pink dial and alligator strap, and 0.23cts of diamonds distributed between the crown, four baguettes at 12, 3, 6 and 9 o’clock and the eight round diamonds dotted at the remaining hour makers. At the top of the line is an 18ct rose gold model with a self-winding automatic movement and the addition of a diamond-studded bezel, taking the carat weight to 1.39ct, and a seconds hand in a small sub dial. This slightly larger watch with 34mm-dial will set you back £15,000; which is still a competitive price for a watch of such beauty as well as horological and gemmological clout.